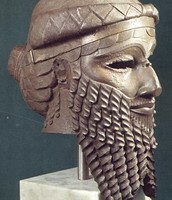 The Akkadians existed about 2300 BCE at the junture of the Tigris and Euphrates river. When fully developed, it came to be characterized by a profound new creativity that marks some of the peaks of artistic achievement in the history of the ancient world. 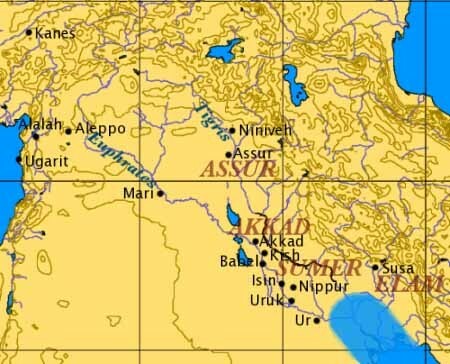 The Akkadians were located in the modern central Iraq. The capital of Iraq is Baghdad. They also enjoyed using the Tigris and Euphrates rivers for their water source. The Akkadian Empire was the first large-scale empire to develop in Mesopotamia. The city of Akkad was the capital. Created their own cites and the population kept on growing . The Akkadians adapted the Sumerian religion when conquering Sumer because Sargon the king highly respected the Sumerian god Enlil. 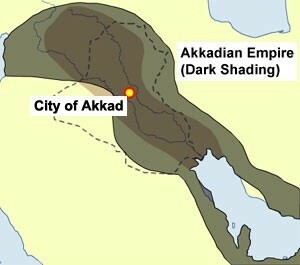 Akkadians were Semitic. Semitic people shared many of the same myths and legends. Their major gods and goddesses were those responsible for creation, fertility, death, and the afterlife. Political organization was inseparable from religion. Government was a theocracy so a ruler who failed to perform his religious duties would have lost all power. The Akkadian king ruled over independent city-states. Most conquered cities had civil and military administrations. Akkadian troops were put into conquered cities to prevent riots or rebellions. 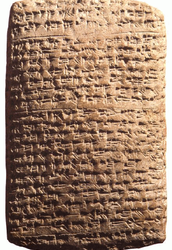 Their system adapted from Sumerian cuneiform in about 2,350 BC. -At the same time, many Sumerian words were borrowed into Akkadian, and Sumerian logograms were given both Sumerian and Akkadian readings. 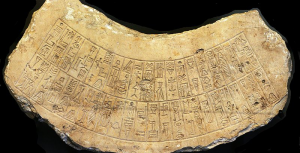 - A large corpus of Akkadian texts and text fragments numbering hundreds of thousands has been excavated. - They include mythology, legal and scientific texts, correspondence. 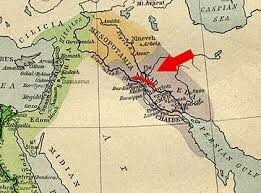 The Akkadian Empire was the first to make an administration and impose a single language and culture. 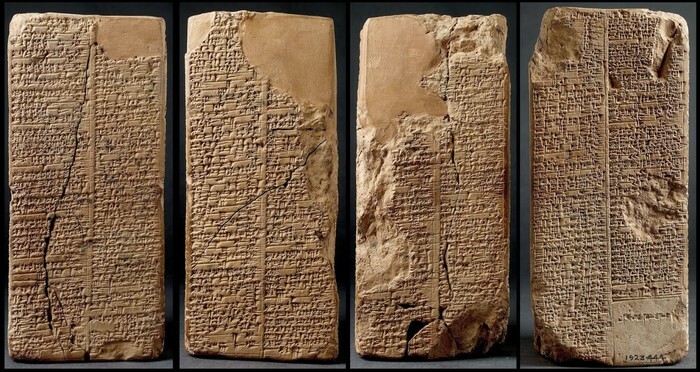 The spread of the Akkadian language, along with the cuneiform writing, marked a new era in forced acculturation. The Akkadians were also known for their incredible art work. Clothed in a robe decorated with a stepped pattern and holding a spouted vessel. It shows a curious blend of human and animal traits. Traces of cloth that were found affixed to the figure suggest that it was intentionally buried, but perhaps as part of a ritual or ceremony. 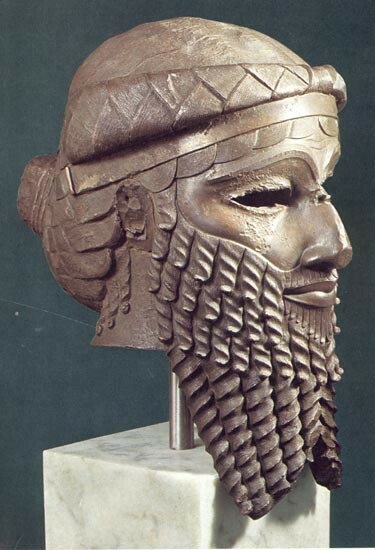 Sargon of Akkad came into power around 2340 BCE. He was the first Mesopotamian ruler to unite Sumer and other Mesopotamian territories. The head simultaneously conveys a sense of its subject’s grandeur and humanity. This include both a creation myth and a flood account, which is one of three surviving Babylonian deluge stories. The name "Atra-Hasis" also appears on one of the Sumerian kings list as king of Shuruppak times before a flood. Naram-Sin is seen here on his victory stele, c. 2230 BC. It shows him defeating the Lullibi, a tribe in the Zagros Mountains, trampling them and spearing them. He is also twice the size of his soldiers. 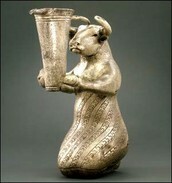 In the 12th century BC it was taken to Susa, where it was found in 1898. 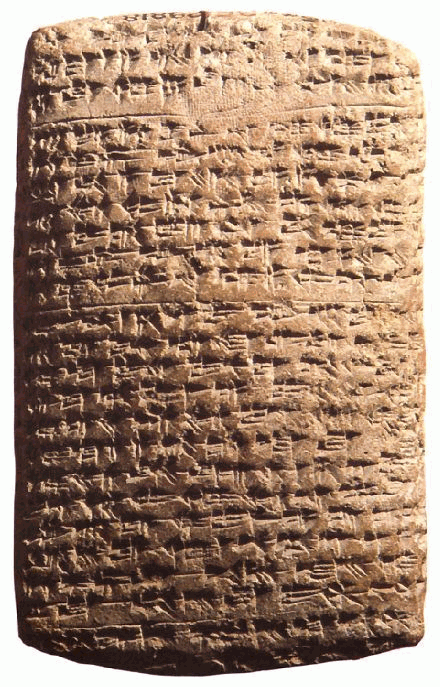 The tablet most likely documents grain distributed by a large temple, although the absence of verbs in early texts make them difficult to interpret with certainty.